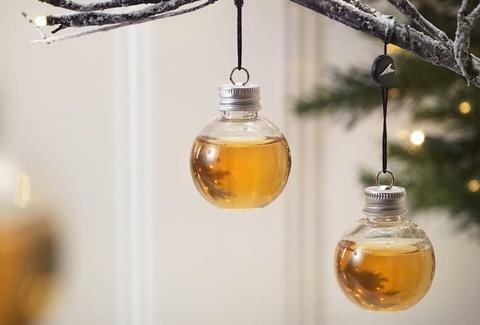 While you're probably not even remotely ready to start thinking about the holidays -- let alone your Christmas tree -- yet this year, you may suddenly find yourself in the holiday spirit thanks to ingenious new ornaments that come filled with your choice of whiskey, gin, or vodka. We'll toast to that. 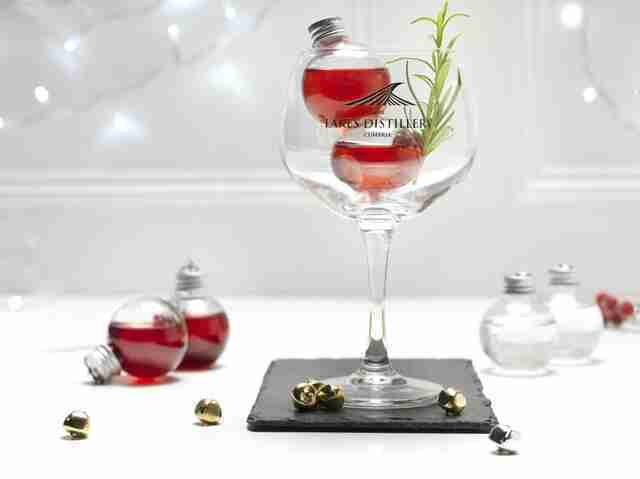 Like festive antidotes to the inevitable holiday stress from too much family time and the slog of traveling, each one of the glass bulbs from The Lakes Distillery in the United Kingdom, contains 1.7oz of liquor -- just enough to both gently weigh down a tree branch, and calm your nerves. You have your pick of three different six-pack sets: one containing six bulbs filled with a signature blended whisky, one featuring three types of gin (two per), and another that includes an assortment of plain and flavored vodkas. If you think one ornament is plenty, you can also buy them individually. At the moment, they're only available via pre-order from The Lakes Distillery's website for roughly $27 apiece or $47 per pack, but they'll be shipping soon. According to Tasting Table, you'll also be able to purchase them from Master of Malt at some point, too. Luckily, you still have plenty of time to get your boozy ornament situation worked out, and also buy some holiday gifts for people who aren't you.